It appears on Aug. 19th we were hacked and our database was dumped. Unfortunately this means that 490,004 users data including email addresses, hashed passwords, and usernames have been leaked to the web it appears. According to leakedsource.com 257,542 passwords have been cracked at the time of this post whom apparently got the dump yesterday. You may go there request your information be removed by clicking here, and I would highly recommend it. However this will not have it erased from the web completely. I highly recommend users who are using the same password for the forum anywhere else to change them as soon as possible. I are still looking into the events at this time to find out what exactly happened. I will post more details once collected. Update 8/26/16: I am running resets of all user passwords, so do not be alarmed if you see a email from us where we reset your password. This is for board security as well as yours. Update 8/27/16: Added FAQs of the most common questions and to provide more data. 1.) Where the passwords stored in plain text? Absolutely not they were hashed and salted. 2.) Can you delete my account? vBulletin does not have a feature to do this by default. Due to the large number of such requests we are looking into this and will send an email if we can add this function so users who would like to do this are able to do so themselves. Edit: You may now delete your account. Instructions on how to delete account located here. 3.) Why did you send me a new password in plain text?! This was your convenience so you may login and change it to something else of your choosing without a lot of work. 4.) Can you tell me what my old password was? This I can not as they were hashed. You may check leakedsource.com to see if they have decrypted the password. 5.) Where you the only forums that got hacked? We were not, they hit a lot of major forums on the internet including Epic Games, Funcom, freeadvice.com, and expertlaw.com. This post has been thanked 4 times. 1.) Login into your account. 2.) Click on "User CP". 3.) Scroll down until you see "Delete Account" and click it. 4.) Accept you would like to delete your account. 5.) Check your PM messages for confirmation code to completely delete your account. 6.) 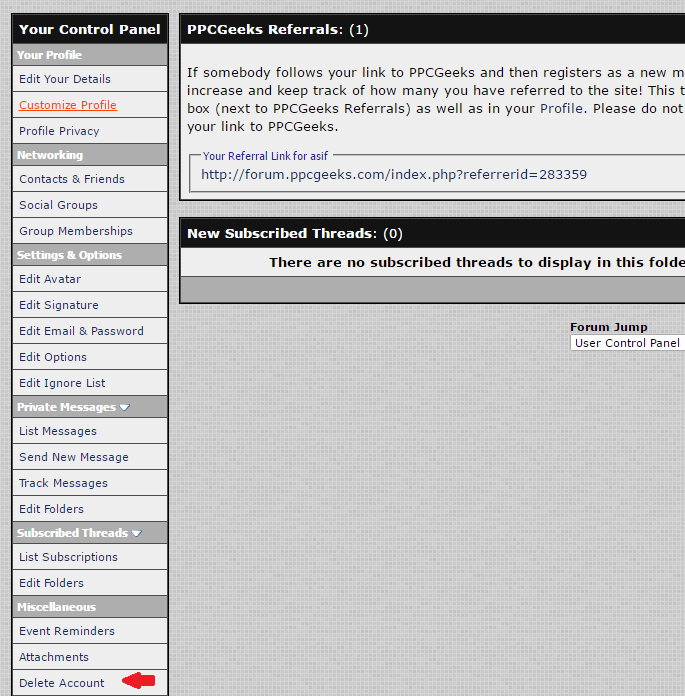 Click link in PM and input code into delete form and submit.